There has been and continues to be a fair bit of time and money invested in identifying and inventorying invasive species that have appeared on Black Lake. Much less has been done to prevent or eradicate them from our watershed. The goals of this program are to 1) learn what we can from our partner organizations about our exposure and the behaviors that put us at risk to invasive mussels, weeds, and other marine plants and animals, 2) educate our members and lake visitors about preventive measures that we all can take, and 3) establish a culture of vigilance in identifying and reporting invasive species for eradication. We have ambitious goals set for this year and our fundraising goal is $6,000. We will also need a LOT of volunteers if this program is to be successful. Please let us know by Facebook or by using the CONTACTS page on this website if you can lend a hand. Last year, we took four actions toward our goal to educate our neighbors and lake visitors about the risks posed by moving boats with unwanted hitchhikers among our region's lakes and rivers. First, we engaged the Michigan State University's Mobile Boat Wash at the Onaway State Park. 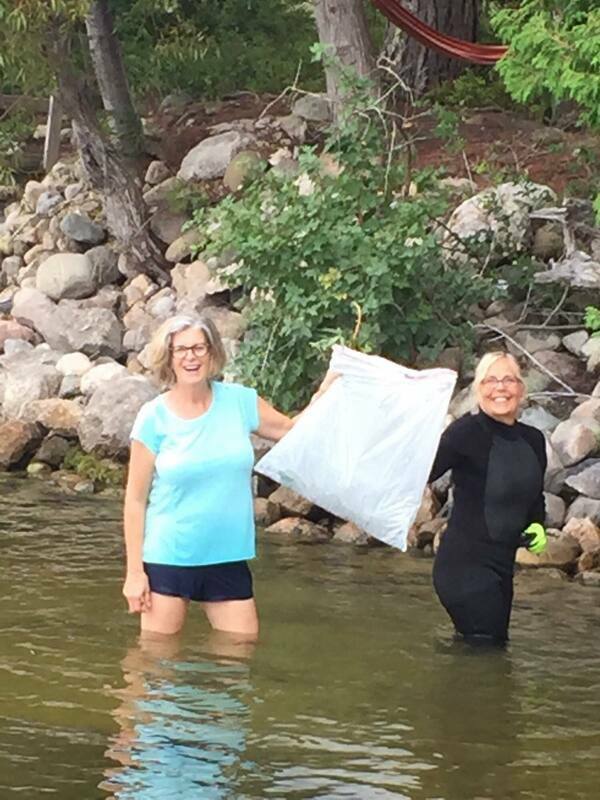 Then for the second time on Black Lake, we enlisted in the annual "Landing Blitz" outreach offering of the The Michigan Departments of Environmental Quality, Natural Resources, and Agriculture and Rural Development. Both of these events were great fun and meaningful educational events. 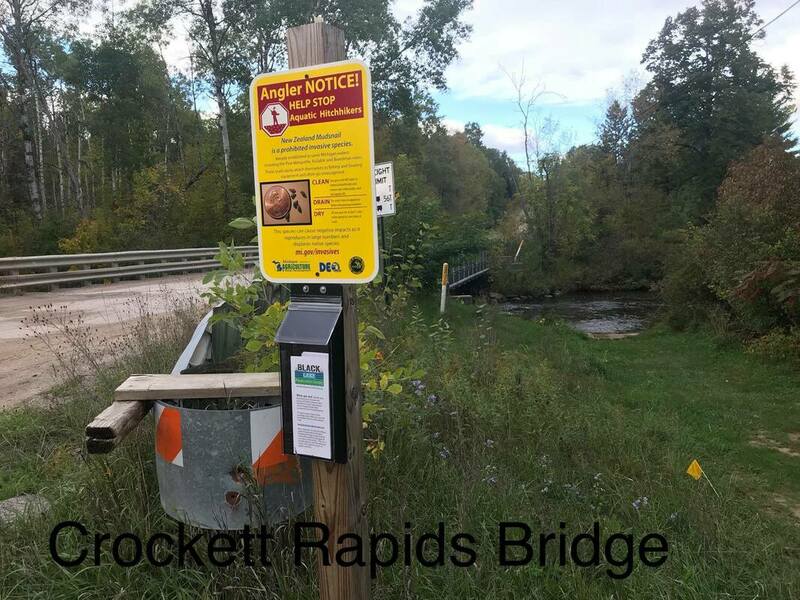 We also gained permission from the county for and built signage at six road-end boat ramps to remind boaters of the risk of unknowingly spreading invasive species and to prescribe methods to mitigate the risk. Pamphlets were placed on posts for information to take with boaters. Finally, we toured many areas of the lake to inventory stands of phragmites and purple loosestrife and assisted property owners with removal. We feel that that our education and outreach efforts have been very successful so far, but we have a long way to go. It has proven exceedingly difficult to gain property owner approval for eradication efforts, so our inventory of sites is growing. We feel that the cost of prevention and very early eradication is a tiny fraction of the cost to address a major issue, so we want to step up our efforts this year to establish an ongoing program to induce vigilant behavior and a culture of urgency to prevent the spread of certain species. We are focused on two; eurasian phragmites and purple loosestrife. Both of these weeds have the potential of taking over wetlands and marshesss and destroy the aesthetic and displace native species that remove nitrogen and provide nesting and food opportunities for wildlife. We are teaming with the Huron Pines Conservancy to "train the trainer" sessions to develop more "ambassadors" and leaders in our community and to conduct a workshop with property owners to describe how plants on their property will continue to grow and become a bigger problem to them and their neighbors. 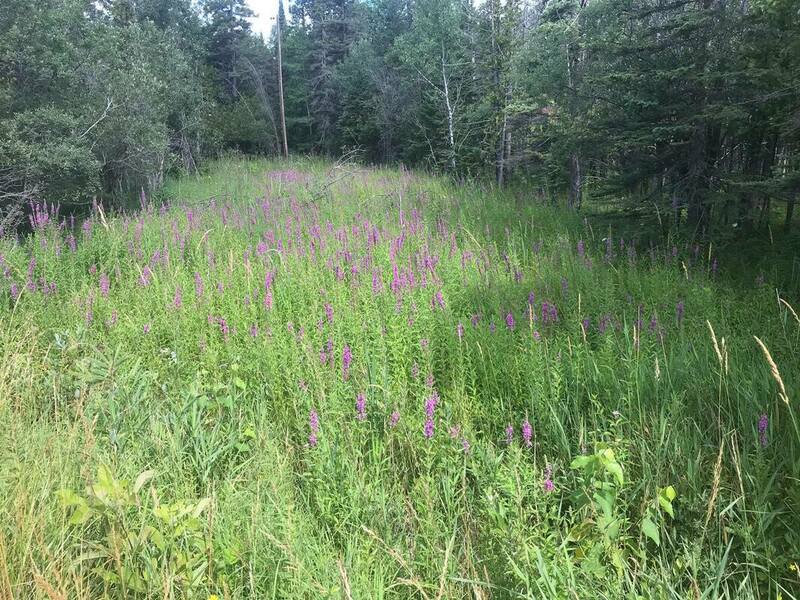 With their permission, we will address known stands of these plants with a combination of weed-pulling, introduction of beetles that consume the plants, and careful and localized chemical treatment as a last resort. We will also repeat the Clean, Drain, Dry and the Landing Blitz education events to reach the public with the message. We are securing $4,500 in grants from the State of Michigan toward our efforts, but must combine that funding with our own funding of $4,500 toward the services of Huron Pines and the conduct of training and workshops. In addition, we will need about $600 to procure beetles and miscellaneous other expenses of several hundred dollars for printing and media to get our message out. All told, we are hoping to raise $5,600 for this important work. We feel that if we don't treat these small stands of invasive species they could expand to a much more expensive problem in the future. Or worse, it may become an unsolvable problem. Think of zebra mussels. All we have been able to do is acknowledge that they are there, spend thousands of dollars planting displaced walleye in the lake, and hope that nature is kind to us and somehow limits their numbers on our behalf.